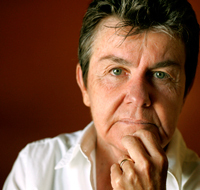 Kay Ryan was the sixteenth United States Poet Laureate, from 2008-2010. Her work has drawn comparisons to Emily Dickinson, Marianne Moore, and Elizabeth Bishop, and like these poets, Ryan’s masterfully concise poems fuse acute observation of the physical world with equally sharp introspection; they are both funny and dark, playful and ready to strike. She has earned fellowships from the National Endowment for the Arts and the Guggenheim Foundation, and is one of the fourteen Chancellors of the Academy of American Poets. Ryan’s The Best of It: New and Selected Poems, was published by Grove Press in 2010. This recording is available for noncommercial and educational use only. All rights belong to the author. © 2010 Kay Ryan. Used with permission from Kay Ryan. This podcast is magnificent; as are your books. Pure genius. I’m infatuated with the spell you cast. Thank you for the experience.